Utrikespolitiska Föreningen vid Umeå universitet (UPF Umeå) söker engagerade och drivna personer till det kommande verksamhetsåret. Till styrelsen söks ett antal olika poster (ordförande samt vice, kassör, sekreterare, programansvarig m.fl.). Därtill söks en representant till Utrikespolitiska förbundet (UFS) samt ledamöter till valberedningen. Är du intresserad, skicka ett kortare e-post med en presentation av dig själv, dina tankar om föreningen, samt ett enklare CV till valberedningen på valberedning@upfu.org. President: The president is ultimately responsible for the operation of the association and is the spokesperson in official contexts. As president you prepare and lead board meetings every other week and are responsible for making sure that everything relevant is on the agenda. Together with the treasurer you have responsibility over the financial work in the association and therefore it is a plus if you have knowledge or experiences concerning economy if you apply for the president post. You should be prepared to attend annual meetings, forum weekends and other activities arranged by the UFS (the Sweden Association of International Affairs). As president you should be very organized, thorough, energetic and focused on problem solving. A lot of time and commitment is required from you since you have to be constantly up to date on every area of the association. You have to be a good listener since you are responsible for making the association’s work run smoothly and for uniting the board during disagreements. You should have previous experience with board work if you apply for the president post. If you get elected you will have a very interesting and exciting year ahead of you! Vice president: As a vice president you shall be very up to date on the president’s duties and be prepared to support the president when it is needed. Together with the president you represent the association in official contexts, for example in the media or during annual meetings with the UFS. Together with the treasurer and the president you are responsible for applying for funding from our contributors. Treasurer: As treasurer you are responsible for the economy of the association. You have the ultimate responsibility for the cashier and cash handling, you pay bills, you do the accounting and book keeping and keep in touch with the accountant of the association. You regularly inform the board about the financial situation. Together with the president you apply and account for funding for our operation. Other administrative work will also be added during the year. As the treasurer you should be very organized and thorough. It is very good if you have previous knowledge about economy if you apply for this post. Secretary: As a secretary you write protocols and make sure that these are available for the rest of the board at all times and also saved for future boards. It is very important that everything relevant from the meetings is written down in the protocols. You send out mails to our members on a regular basis to inform them about our activities. You are also responsible for updating our members register after every activity according to Personuppgiftslagen 1998:204. You make sure that at least 60 % of our members are under the age of 26 since this is needed when we apply for funding from the Swedish state. You make sure that parts of the members register are available during our annual meetings and such. As the secretary you are also doing the administrative work with subscriptions for the magazine Internationella Studier. You also write thank you letters to our guests together with the president. As a secretary you should be able to communicate very well in both Swedish and English. You’re supposed to be very organized and structured. Head of Program/Program Secretary: As head of program you create the program for the association from beginning to end. This means you come up with themes and subjects for our lectures, you develop other activities like seminars and debates and you contact and invite our guest lecturers. During the spring of 2013 the Umeå Association of International Affairs have had 2-3 lectures every month. You book train and airplane tickets and take care of our guests during their stay in Umeå. This means that you have a great opportunity to meet really interesting people! You are responsible for the presentation, the technic and the questions during the lectures. You also order “fika” or lunch for our visitors before the lectures. In Umeå we’ve had two heads of program during the last few years since it takes a lot of time and energy. You usually also get a good amount of support from the board and active members. As a head of program you have to be flexible since plans can change on a moment’s notice. The post as head of program is not difficult but you need time, energy and commitment if you choose to apply. You should have a true commitment in international issues and be energetic and enthusiastic about your work. You should also like to communicate and contact other people since this is a core thing in your work. If you become head of program you will have a truly exciting year! Head of PR: As head of PR you lead the work on marketing the association and our activities. This will be through different channels such as posters, flyers, social media, the web page and being visible at the university. You arrange presentations in classrooms and stand in Lindellhallen together with the other board members. You keep in touch with the printing company and make sure that the printed material for our activities is ready in time. You also lead the PR committee in case this is created. Editor for Utpost Magazine: The editor is responsible for creating our local editorial staff team for our magazine Utpost which is printed once every semester. This means that you find writers and organize a layout team. You are responsible for the articles being correctly written before printing and you do this together with the writers. You keep in touch with the other editorial staff teams within the cooperation of Utpost. It is your responsibility to make sure that the final version of the magazine is within the approved budget and that the final sum is approved at a board meeting. Head of Travel and Activities: As Head of travel and activities you should lead a travel group and arrange one trip per semester. You should also arrange one social activity for members every month. UFS representative: The UPF Umeå is one of ten local associations in the national Association of International Affairs (UFS). 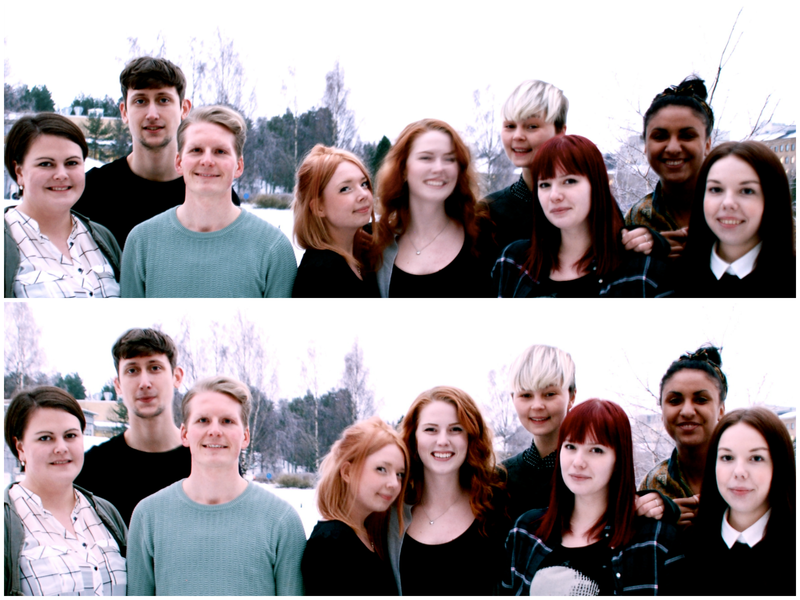 Umeå is now looking for a new representative who will represent us in the national board. Just to be clear: The representative will be a member in the national board, not in the local one. Although, the representative is more than welcome to attend local board meeting and take part of our work. As a UFS-representative you should not be afraid to speak your mind since your job is to make sure that the interests of the Umeå association is being listened to. Previous experiences of board work is something you should have since you’re going to be working with by-laws, policies and other things that you have to be able to understand. You shall have time to attend the board meetings in UFS that usually take place once a month in different cities in Sweden. The trips are paid by the UFS. Skype meetings are also taking place once in a while. You should enjoy to network since you will work closely with the UFS, the other local associations and our Umeå presidium. Since the UFS board is working a lot in Swedish you should be able to communicate fluently in both Swedish and English. Previous Post Gudrun Schyman, Aula Nordica!